In 1997, IBM's Deep Blue defeated chess grandmaster Garry Kasparov. After this defeat, Kasparov started a new class of chess competition; one where humans and computers co-operate as a team, instead of contending with each other. These human-computer chess teams are called cyborgs or centaurs. Humans and computers use very different methods to play chess. When combined, these methods are highly complementary. 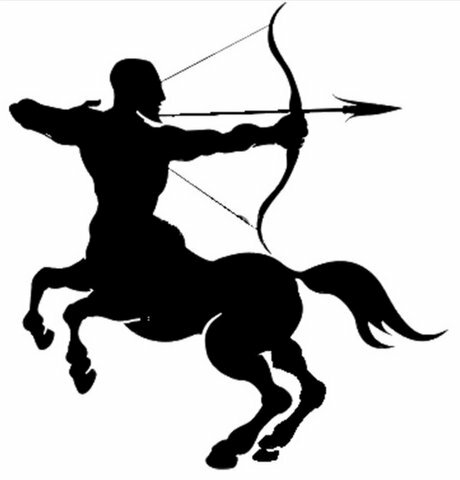 This means that centaurs play at a level that neither a computer nor human alone can achieve. Centaur teams have achieved new heights never before seen in chess. These games have both highly tactical plays and the beauty of strategic plans. As part of a centaur, average chess players have, occasionally, played at the level of human grandmasters. The computer gives the team a list of select moves from a massive list of possible moves. When several moves all have equal mathematical value, the human can use experience, intuition, or psychology to determine the best of the otherwise equal value moves. Additionally, the computer can show the probable outcomes of human suggested moves. This takes lapse-in-concentration mistakes out of the game, while keeping the creativity of unorthodox moves a possibility. Centaur human-computer teams have taken chess to a level of play never seen before. How could this human-computer collaboration apply to driving? The SAE (Society of Automotive Engineers) and National Highway Traffic Safety Administration (NHTSA) have a six-level [level 0 through level 5] automated vehicle scale. If you are interested in the details of each level, you can look them up. I'll just give a quick overview here. Level 0: no automation. No cruise control, no traction control, no anti-lock brakes. Good luck finding a vehicle at this level on the road today. Level 1 - 3: Each level has increasing automation functions, from cruise control and self-park up to traffic awareness and automated steering. In all of these levels, the driver is expected to be ready to take over should the automatic systems encounter an obstacle or situation it doesn't understand. Level 5: This is the highest level. Other than setting the destination and starting the system, no human intervention is required. The automatic system can drive to any location where it is legal to drive. This is full self-driving autonomy. Vehicles at this level do not require a human driver interface (steering wheel, pedals...) and it could operate when the vehicle is unoccupied. 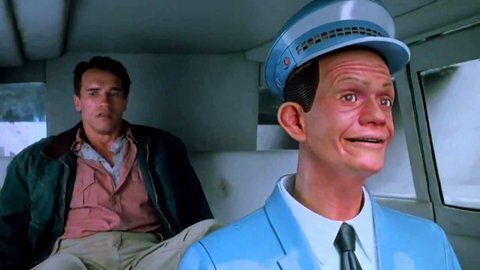 Think Johnny Cab. Level 5 may be the highest, but it's boring. The human is simply a passenger. You get in, tell it where you want to go and sit back. This is the direction the technology is headed, and when it arrives, it will be hailed as a great victory. It will allow the elderly, those under the influence, and people with disabilities safe mobility options but we are still years from full autonomy. Legislation alone ensures this is years away. Level 3/4, semi-autonomous driving, is happening today, it is a needed step to get to level 5 since humans will effectively be training the system, and it is far more interesting. With semi-autonomous driving the human driver and the vehicle automation system work together to control the car. The vehicle can drive itself in many situations, but the human driver is required to be there and to be attentive; ready to take over if/when needed. This is the level most like the Centaur chess teams above. The strengths of both the human and the computer are brought to bear to move your car down the road. The vehicle has situational awareness. It understands when it can manage the driving tasks, and when it should pass control to the human half of the team. Similarly, when the human is driving, the automated system is watching and can alert you if the vehicle is too far from the center of the lane and take over control of the brakes if an impact is imminent. Completely eliminating driver distraction isn't possible, but having an ever-alert computer co-pilot that can warn the driver when things are potentially dangerous, is a great improvement. An ever-alert computer co-pilot can focus the driver when things are potentially dangerous. As autonomous driving technologies (such as computer vision, sensory information, machine learning...) improve, the amount of required human driver intervention will decrease. As billions of miles of driving data are collected and analyzed, the database of driving situations the automated system can handle grows. Route selection - With real-time traffic information the vehicle would offer alternatives routes to save you time (smartphone navigation apps offer this feature today). Lane departure warning via haptic feedback virtual rumble strips - rumble strips are used to alerts drowsy or distracted drivers that they have drifted out of their lane. An automated system could simulate this by vibrating the driver's seat when it detects that the vehicle has drifted from its lane. Reading signage - Ever had this happen, you wonder 'What is the speed limit on this street?' You missed the last speed limit sign and you don't see one ahead on the road. In a Tesla (with the right options), you can glance down at the driver's console and see a graphical representation of the sign. This is a simple and handy driver assist. Adaptive Cruise Control (ACC) or Traffic Aware Cruise Control (TACC) - These systems let you set a speed and the car will slow down when there is traffic slowing on the road ahead. This is great on the freeway when there is little to no traffic and it is even better in stop and go traffic. Stop and go traffic can be frustrating and mind-numbing. A cruise control system that watches the car in front of you allows you divert your attention to a phone call or the song on the radio. Watching for the green - have you ever been behind a car waiting at red light. The light turns green, but the car in front of you doesn't move, you wait 15-20 seconds, they are still sitting there, looking through their back window you see they are on their phone. You give them a gentle tap on the horn. They look up and finally notice the light has changed. This problem is only getting worse. Well, if your car had a forward-looking camera, the car could play a happy little chime when it sees that the light has turned green. This would allow the driver to divert their attention when they are sitting at a red light. Since they are doing this anyway, I would love to see more cars with this feature. In this situation, the human driver is in full control of the vehicle, but the centaur driver more aware than a human alone. Display of surrounding vehicles - With Tesla Autopilot HW 1.0 (their latest vehicles have AP HW 2.0), the driver's display shows you the vehicles ahead of you that the car's sensor system detects. There are also object indicators on the sides. This does not replace looking before you change lanes, but a quick glance there can tell you about the vehicles around you on the road. These systems are vital when Autopilot is controlling the vehicle. However, when the human is controlling the vehicle, much like the item above, this system increases the driver's awareness of the surrounding environment. Seeing the invisible - With the vision systems the cars use, they are able to see things that the driver cannot. They are able to bounce radar under the car directly in front of you and to 'see' the car in front of them. The 2 cars ahead car could be completely blocked from the driver's view. Since the automated system can respond to the 2 cars ahead car, it would be able to brake or slow down when they do. This could prevent a rear end collision by the two cars in front of you from becoming a 3+ car pile up. Several of these features are offered in driver assistance systems such as Tesla's Autopilot and others. The systems will continue to improve, cameras and sensors will get better, the software will improve greatly. If they are not already there, these systems are coming to a vehicle near you soon. Just as the centaur chess teams raised the level of play to the highest that we've ever seen, these cyborg driving teams could make our roads safer than they have ever been. What is Up With You and Centaurs? Automated driving, autonomous driving, driverless car, ADAS, ... all have distinct definitions. In some cases the differences are subtle, in other cases, they are significant. I was not as strict with these terms as I could have been. And since I'm on this topic, I don't like the term semi-autonomous. To me, this is like saying "a little unique". Either something is unique, or it is not. When someone writes "a little unique", they might mean "rare" or the like. Similarly, "autonomous" generally does not have degrees. There can be levels of automation until the vehicles achieve the "autonomous" level. But this term semi-autonomous allows the vehicle to be autonomous in some situations or locations and not autonomous in other cases. Because of this, plus the fact that the term generally used in the auto press, I've conceeded to used it too. "In terms of overall costs, we found that battery electric vehicles are better than fuel cell vehicles for reducing emissions." "The hydrogen car is like your dream of learning to play the guitar or writing the Great American Novel — you still hope, but as time goes by you can’t help but lose faith. After all, it’s been 50 years since General Motors unveiled the first iteration in this automotive frontier, billed as environmentally safe. It’s been 38 years since Jack Nicholson stuck his face against the tailpipe of a hydrogen vehicle for a non-toxic steam facial on national TV. And it’s been nine years since Brad Pitt showed up to the premiere of “Ocean’s Thirteen” in the BMW Hydrogen 7. If celebrity approval and avant-garde appeal were any kind of bellwether, the highways would be full of H-cars by now." Given the recent election results, it's very likely that there will be sweeping legislative changes in the areas of energy and environmental regulation. Regarding electric cars, it's important to make sure the baby is not tossed out with the bathwater. Electric vehicles (EVs) are often touted as eco-friendly cars. This immediately casts them into the political realm of the environmentalists. This opens the door to question the actual environmental impact of "coal powered" cars with "landfill batteries." From there it is easy to dismiss EVs. They have questionable value to an environmental cause, for which a conservative might have little to no support. When government subsidies for both the cars and the infrastructure are placed on this brittle foundation, it appears to be simple government folly. Given the above, eliminating EV subsidies seems to be a simple way to cut government spending. Simply stop funding them with tax dollars. If EVs are able to stand on their own, in a free market, that's fine, but my tax dollars should not fund them. Especially when most EV-drivers have six-figure incomes. This reasoning above is clear and self-consistent, but reasonable minds can disagree on the environmental impacts of EVs. However, regardless of whether EVs are better, equal, or worse for the environment, they're still the right way to go (and for better reasons). So let's set the environment argument aside, and discuss the other reasons to support EVs. The reasons that conservatives support EVs. It's not about the environment; there are plenty of reasons EVs are great for America. A little about me: I served 6 years in the U.S. military, including a tour in the middle east. EVs are great for America. EVs improve our national security. EVs will keep gasoline prices low. EV fueling money goes to your local community. EVs are usually filled up at home, in the garage, overnight, from the electrical grid. The local power plant there in your community is the is the source of that energy. That means that the money that you pay to fill up an EV are dollars that are paid to a local business. This money goes to your local utility. It pays the salary for the person that reads your meter and the person repairs your power lines when a winter storm knocks the power out. These are your friends and community members. And the money you spend here gives them jobs and allows them to be productive members of your community. Fueling an EV puts money in your local economy, not a foreign country's banks. Since your electricity is locally generated, communities can make their own choices of what is important to them. Should they burn coal, should they have wind turbines leased on local farms, should they put solar panels on their roofs? These are choices that local communities can make for themselves. EVs are fueled by the local grid with power plants that reflects the community's values. When you look at electric car makers, the clear leader is Tesla Motors. They are a Fremont, California company and they are driving innovation throughout the entire industry. They are ahead of the Germans and Japanese in internet-connected cars, self-driving, fast charging, battery technology, and battery manufacturing. Tesla designs and builds these innovative cars here in America and they are shipped around the world. American companies are outpacing the Germans and Japanese in electric vehicle technology. There is a growing worldwide market for these vehicles. It is important that American companies are not left behind in this shift. Before the current generation of EVs, there were few choices to fuel your personal transportation. The options were gasoline or diesel. If you were a tinkerer, you could modify a car to run on veggie oil or build your own battery powered car. For most people, converting their own car is not an option. Most people buy the car they want and drive it as it rolls off the lot. Plug-in cars put more options on the sales floor. You can buy gas, diesel, hybrid, plug-in hybrid, or battery electric. And if the car does plug in, you can choose where you want that electricity to come from. Free market choice and personal freedom. Depending on your local electricity cost, fueling with electricity is equivalent to about $1 per gallon. As some people move to EVs, that is fewer people buying gas, reducing the demand and allowing the remaining supply to last longer and cost less for those of us still using it. With nearly all of our transportation fuel coming from oil, we are vulnerable to attacks on supply. When pipelines are hit in Nigeria or rebels attack tankers in the Strait Of Hormuz, our oil prices here at home spike. The electricity grid, on the other hand, is powered by coal plants, natural gas, nuclear, hydro, wind, and solar. If there are fluctuations in the any of these source fuel supplies, the mix can change to take up the slack. The grid has had outages, but it is a redundant system. This makes it resilient to many forms of attack. When our transportation fuel is domestic, events halfway around the world will not change how much you pay to commute to work. It is called the EV grin. Often when people are behind the wheel of an EV, they get a broad smile. EVs are smooth and quiet. It's magical to be moving without the vibration and noise. EVs have incredible performance. Electric motors have a digital response time, there's no rev up time before they go. This makes them quick off the line and these peppy cars are fun to drive. If you have not been behind the wheel of one, you should try it for this experience alone. EVs are a kick to drive. No matter what side of the aisle you are on, you should try it. Today, there is a $7,500 federal tax incentive for new EV sales. It is important to understand that this is not a governmental largesse, it's a tax credit. This means that it can only reduce the amount of taxes that you pay. Many of us feel overtaxed. And for the taxes that we do pay, we're not sure that this money will be spent in ways that we'd approve. Well, the EV incentive is a tax credit. A non-refundable, no carryover tax credit. This means it allows you to keep more of your own money; money that you have earned. 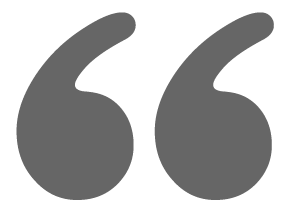 It does not, however, entitle you to a payment of money from other taxpayers. Tax credits like this are good things and we need more ways to allow people to keep their own money while advancing our economy and national interests. The infrastructure programs that are in place are public-private partnerships. This allows the market to get a foothold and then for private businesses to own and operate the network after that. As long as this is done in such a way that the private sector is allowed to make sound investments, it can be successful. Federal infrastructure spending too often gets bogged down in mismanagement and cost overruns. So the government's role must be limited to setting goals and funding such as loan guarantees. The government cannot be involved in the project management. This avoids the problem of the projects getting stuck in the political quagmire. The point of government EV infrastructure spending is to accelerate private deployment, not to have a government-owned national network. There are many reasons, other than the environment, to support EVs. Environmentalists might be supporting EVs for the wrong reasons, but that alone does not make them the wrong choice. Domestic fueling, domestic design, and domestic manufacturing support the American economy. If you are concerned with national security, energy, and/or economic growth, then EVs are a crucial component of all of these issues. This topic is as bipartisan as they come, and there is no longer any excuse not to support it. And if they happen to keep our cities' air pure along the way, that's a free bonus. Toyota has been one of the biggest proponents of hydrogen fuel cell vehicles. They may have seen the light (or should I say spark) and realized that there is no market for H2 vehicles. "Toyota Motor Corp is looking at mass-producing long-range electric vehicles (EVs) that would hit the market around 2020, the Nikkei newspaper reported"
"the lack of hydrogen fuelling stations poses a major hurdle for mass consumption"